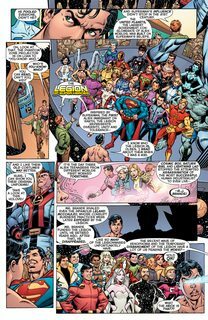 Final Crisis: Legion of 3 Worlds is a five-issue 2008 limited series produced by DC Comics. 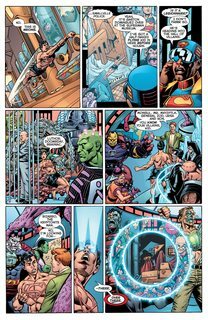 The series is a tie-in to Final Crisis. It is scripted by Geoff Johns, and drawn by George Pérez. 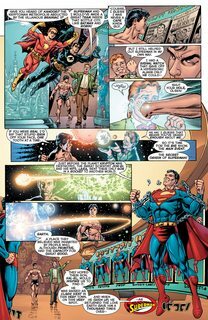 The story features Superman and the post-Infinite Crisis version of the Legion of Super-Heroes, uniting them with the team’s 1994 and 2004 counterparts to battle the Time Trapper and a new incarnation of the Legion of Super-Villains (led by Superboy-Prime).